The Bridge is not just a Pre-ICO, Proposition D Compliant Collective, but rather a team of dedicated professionals on a mission to improve the quality of life in the LA community. The company provides high-quality medical products which include: strains, edibles, concentrates, glassware, vape products, and topicals. And all of this at affordable prices. The dispensary partners with only a few renowned cultivators in California, growers who believe that attention to detail, constant innovation, and scientific expertise are the main aspects in the development of cannabinoid products. That is why every product here is monitored along the entire life cycle. 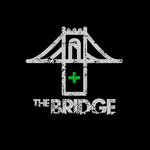 Seeing how cannabis has brought relief to many people suffering from cancer, Parkinson’s disease, MS and other medical conditions, The Bridge now is fully determined to provide best possible medication to the people of Los Angeles.